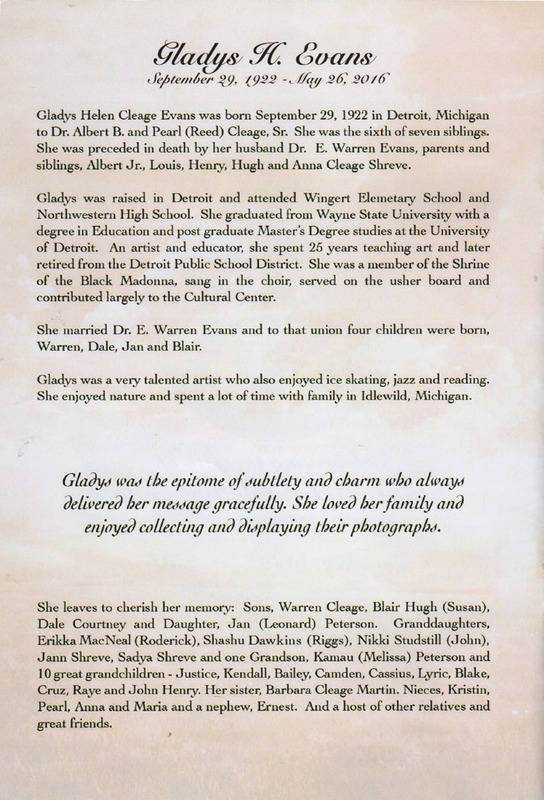 Gladys was my father’s sister and my aunt. She contributed her spit for DNA testing, helping make new family discoveries. I spent much time with Gladys when we both lived in Idlewild. We used to walk to Head Start together. I remember she told me some of her childhood and adult memories and I wrote them down in one of my notebooks, and I haven’t been able to find them, but I am going to go through page by page soon. She also shared memories of her extended family, which I quote in some posts. Gladys also shared with me the letters that her father wrote to her mother when they were courting, which I used to write an A-Z series several years ago Index to the Letters from Dr. Albert B. Cleage. I wish I could have shared the letters that her mother wrote to Homer and the information about my grandmother Pearl’s uncle Thomas Allen who fought with the USCT in the Civil War. Hopefully, she knows. So wonderful that you share your beautiful family pictures and history! Amazes me that you have archived so much of your family’s history and still continue to find new info. I sometimes struggle to remember all my aunts/uncles names. I won’t even try with all my cousins. Make a chart! This is pretty new as my aunt only died a few years ago. But new info about the distant past keeps coming online, so there is always hope. 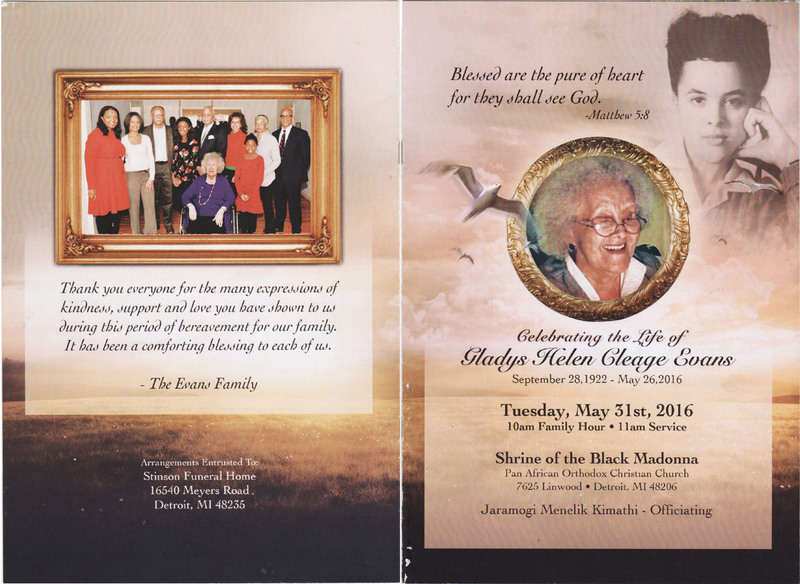 How sweet to have the information to share here about your Aunt, a woman of talent and spirit.